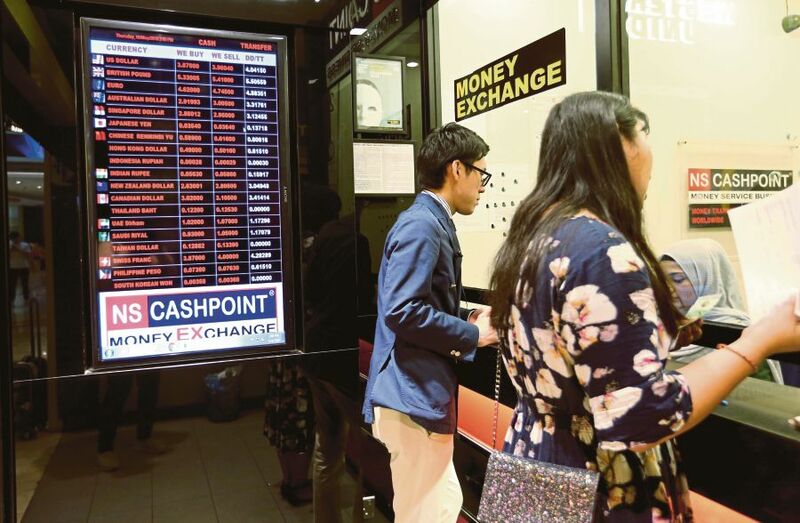 (File pix) OANDA senior market analyst Jeffrey Halley says the regional currencies could weaken today in the face of a generally stronger US dollar. KUALA LUMPUR: The ringgit opened slightly higher against the US dollar on mild buying interest on the domestic unit, said a dealer. At 9.10 am, the ringgit was pegged at 4.0710/0760 against the greenback from Thursday’s close of 4.0715/0765. OANDA senior market analyst Jeffrey Halley said the regional currencies could weaken today in the face of a generally stronger US dollar. “The US dollar strengthened overnight, due more to the travails of its counterparts than a strong dollar story. The euro and the British pound continued to wilt as poor Eurozone data, and the Brexit impasse continued. This theme could extend to the Asia session,” he said in a note today. Meanwhile, oil pricing benchmarks Brent and West Texas Intermediate fell 2.50 per cent and 1.60 per cent overnight respectively, as the US dollar strengthened and the weather improved in the US. “A lack of news will likely mean listless trading in the Asian session with oil moving inversely to the dollar,” said Halley. It strengthened against the Singapore dollar to 2.9987/0028 from Thursday’s 3.0017/0058 but eased against the yen to 3.7090/7139 against 3.7004/7059 yesterday. Against the euro, the local unit strengthened to 4.6157/6230 from 4.6191/6252 but depreciated against the British pound to 5.2728/2813 versus 5.2547/2619.